A REGULAR MEETING of the Stillwater Township Committee was called to order by Mayor Chammings at 7:01 p.m. noting the meeting date, time and place were duly published in the New Jersey Herald and posted at the Town Hall and advised those present that this meeting was being held in compliance with provisions of P.L. 1975, Chapter 231, Sections 4 & 13. Mr. Scott made a motion to adopt Resolution 2018-118, seconded by Mr. Gross. Mr. Scott made a motion to adopt Resolution 2018-119, seconded by Mr. Fisher. Mr. Fisher questioned the absence of the Tax Assessor report. Mayor Chammings indicated she would speak with the Tax Assessor. Mr. Scott made a motion to accept the reports as submitted, seconded by Mr. Fisher. Mr. Scott made a motion to adopt Resolution 2018-120, removing PO # 8812 for separate consideration, seconded by Mr. Morrison. Mr. Scott made a motion to pay PO # 8812 – Zoning Officer mileage, seconded by Mr. Morrison. At this point, this portion of the meeting was opened to the public at 7:15 p.m.
Vera Rumsey, Stillwater questioned if the township received a resolution supporting the proposed bill regarding additional junior/cadet responsibilities. Ms. Knott indicated she had and it would be added to the January meeting agenda. Ms. Rumsey provided a brief background on the process leading up to the proposed bill, noting Hampton will be passing their resolution tonight. The bill provides for increased hands-on training for 14 to 18-year-old junior firefighters. Ms. Rumsey asked for the Committee’s support noting the importance of the bill. 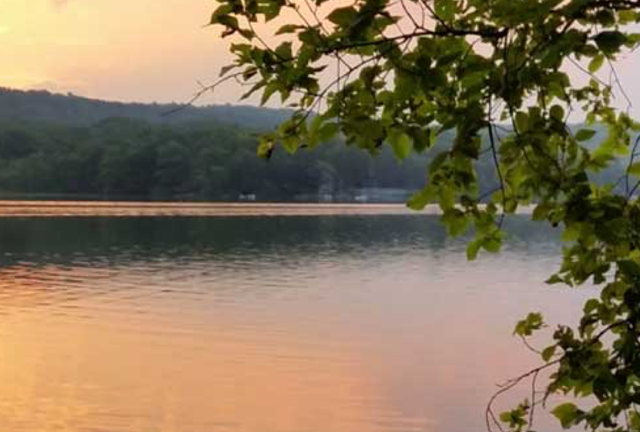 Ms. Knott stated she has had several property owners inquire about donating their undersized lake community lots to the township. She has been telling them to stop paying their property taxes and the it will eventually revert back to the township. The owners are very concerned with doing so and the effect it could have on their credit. Ms. Knott asked for Committee direction on the matter. Mayor Chammings asked for Ms. Knott to draft a list of the owners interested in donating their property for Committee review. The Committee asked Ms. Knott to inform future inquiries that at this time the township does not accept property donations. There has been no update on the Plymouth Lake dam project. 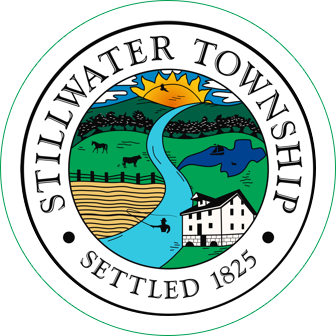 THEREFORE, BE IT RESOLVED that the Mayor is authorized to execute the DPW 2019-2021 Collective Bargaining Agreement on behalf of Stillwater Township. Mr. Scott made a motion to adopt Resolution 2018-121, seconded by Mr. Morrison. A brief discussion was held regarding the stipends that were amended to become pensionable. Mr. Fisher expressed concern with the name of each employee receiving the stipend being noted in the contract. Following discussion, Ms. Knott assured Mr. Fisher that Attorney Vex and the CFO have reviewed and approved this policy and the union was in agreement as well. Mr. Fisher asked if the Committee read the “Pathway to Progress,” document regarding the State of New Jersey economy and asked them to consider the information before making a decision on the contract. He referred to the rescinding of compensation time for the department heads at the town hall, when the DPW receives compensation time and allowances for clothing, etc. Mr. Morrison felt the employees are treated fairly, noting when the DPW is out plowing, the office staff is often given a snow day. Mr. Scott and Mr. Morrison both indicated they felt the contract was negotiated well and was fair. Four percent was afforded to be equitable with the years the DPW received less than the town hall employees. WHEREAS, the Stillwater Township Committee holds itself, as well as its employees and volunteers to the highest ethical and moral standards and will not tolerate criminal activity by any individual serving on any of its offices, boards, commissions and/or agencies. As such the Township Committee desire to remove Ms. Richardson from the Stillwater Township Board of Recreation Commissioners effective immediately. NOW, THEREFORE, BE IT RESOLVED by the Stillwater Township Committee, County of Sussex and State of New Jersey, that Tami Richardson is hereby removed as a member of the Township of Stillwater’s Board of Recreation Commissioners effective immediately. A copy of this Resolution shall be placed on file with the Clerk of the Township. If any section, subsection, sentence, clause or phrase in this Resolution is for any reason held to be unconstitutional or invalid, such decision shall not affect or made in portions of this Resolution. Mr. Scott made a motion to adopt Resolution 2018-122, seconded by Mr. Gross. Mr. Gross reported the fire department report was submitted. The Zoning Board meeting was cancelled. Mr. Morrison reported the November and December Planning Board meetings were cancelled. Mr. Scott reported on the Recreation Commission tree lighting and house decorating contest. New members will be joining the Commission in January for a full board. He commended volunteers Mrs. Tosti and Mrs. Gardner for their craft events and fair. He asked for a letter of thanks to be forwarded to both. Mr. Scott reported the DPW is planning to address the driveway at the Recycling Center in the spring. The Township Engineer videotaped Old Schoolhouse Road this week and the project will be ready to bid shortly. Mr. Scott informed the Committee a DPW employee will be retiring this year and has suggested training Mr. Gardner to replace him as Recycling Coordinator. Mayor Chammings reported on the Environmental Commission meeting. Mr. Gettler attended and provided a lengthy presentation on farmland assessment and soil types being done incorrectly. The sign constructed by Mr. Vendetti has been installed over the bridge at Veterans Memorial Park and informational signs were installed along the river. The project was funded through an ANJEC grant and Clean Communities. Ms. Knott stated ANJEC sent her an email commending the project and indicating funding would be forthcoming. Mayor Chammings noted a newspaper would be covering the project in the near future. Mr. Morrison reported the township sign coming into Stillwater from Blairstown needs to be replaced. Mayor Chammings would like to budget for all the entrance signs to be replaced as they are approximately 20 years old. Mr. Fisher suggested using Clean Communities funding. The Historical Society is hoping to display lanterns along Main Street on December 21st although it may be postponed due to the weather forecast. Mr. Bolcato wished all a Merry Christmas and Happy New Year. Mr. Morrison asked if the two ex-Swartswood fire department members who have been indicted are entitled to their LOSAP. 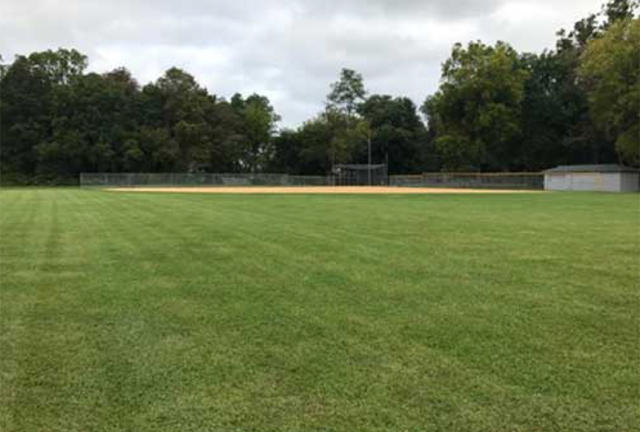 Mr. Morrison felt that all the money invested by the township and Lincoln Financial, as well as any funds that were made from those investments should be returned. Mr. Bolcato sent a letter to Lincoln Financial informing them of the circumstances and requesting they place a hold on the funds. Mr. Morrison felt strongly the LOSAP should be provided back to the township as it originated there and he would recommend taking it to court if necessary. Mayor Chammings spoke with Mr. Kornmeyer, trustee of the Swartswood Fire Department, who put her in contact with their attorney. She set up three dates for an informal discussion on the use of the facility. The attorney, and trustees Mr. Kornmeyer and Mr. Barile would be in attendance, however due to a family emergency the attorney had to cancel and the meeting did not take place. Mayor Chammings would work to reschedule and Mr. Morrison would be included. Mayor Chammings will be speaking with Mr. Jackman regarding the drainage issue. 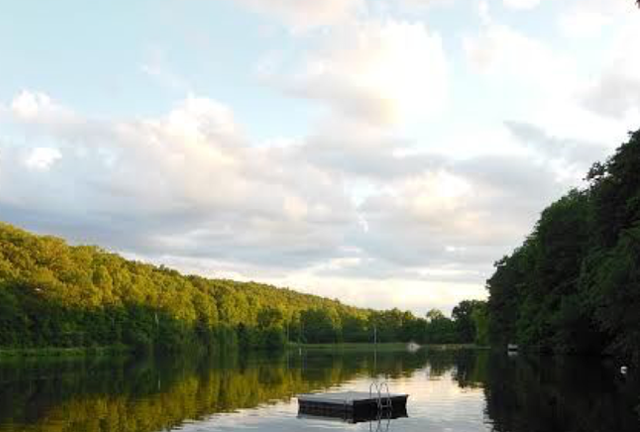 Ms. Knott reported she received an email from Paul Loza, 906 Duck Pond Road, suggesting a high-level drain should be installed from the pond behind his home to the Paulinskill. The Township Engineer provided a description by Mr. Dykstra dated April 1980, indicating there is a 20-foot wide drainage easement. Ms. Knott will discuss this further with the Zoning Officer next week. Ms. Knott could not find the easement recorded by deed and believed it was never done. Mayor Chammings will take a look at 906 Duck Pond Road and asked Ms. Knott to provide the block and the lot of the property. The flooded area is very low-lying. The Mayor will follow-up with Mr. Jackman. At this point, this portion of the meeting was opened to the public at 8:30 p.m.
Jan Bonavita, 918 Dove Island Road stated her son Joe is a trustee of the former Swartswood Fire Department and is in favor of the facility being used to benefit the people of the town. Kathy Draghi, 1016 Route 619 asked if the cell tower funding would be discussed. She asked where the tax payments and attorney funding are coming from. She felt the cell tower funds should go to the township for expenses covered by the township in the past. Mr. Fisher noted the cell tower income will go with the building. Mrs. Draghi expressed concern with the church/Knights of Columbus acquiring the facility. Mrs. Draghi asked if the building is currently being used and Mayor Chammings stated it is being used by the Knights of Columbus. Mrs. Draghi felt the two Committee members who did not vote in favor of dissolving the fire department should step aside and allow the remaining members to move forward to resolve the issue. Vera Rumsey, Stillwater explained the LOSAP process indicating an audit is required to compare the hours of service of a member with the amount of calls, drills, meeting nights etc. She felt numbers may have been submitted fraudulently to have such a large amount of money in LOSAP at this point. Ms. Rumsey stated Our Lady of Mount Carmel Church cannot make the decision to acquire the building, it has to be determined by the Archdiocese, noting they cannot own a commercial property. She suggested township representation at the sentencing hearing for the ex-fire department member, to ask for restitution to the township. The Mayor has sent that request in writing to the court three times. Ms. Rumsey felt the fire department building should be used as a community center. A brief discussion was held on the history, construction and incorporation of the building. A short recess was taken at this point, and Mr. Bolcato left the meeting. Dana Mooney, CFO was present. She noted several items in the budget are estimates at this time. -Meeting dates: Departments/Health Insurance/Miscellaneous – January 2, 2019 following reorganization; DPW/Engineer – January 15th during regular meeting; (DPW make-up date – January 26th at 9 a.m.); Fire Department/Rescue Squad – January 29th at 6:15 p.m.; Recreation Commission – February 19th during regular meeting; and Saturday, February 23rd for finalizing budget at 9 a.m. There being no further business, Mr. Scott made a motion to adjourn the meeting, seconded by Mr. Gross. In a voice vote, all were in favor.